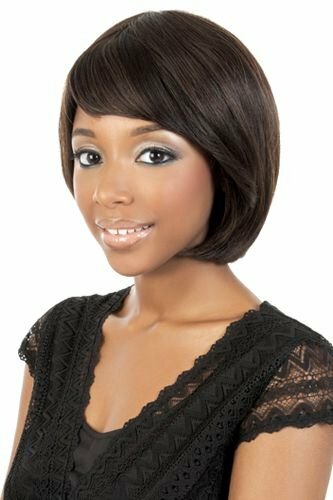 As an African American woman looking for a wonderful way to enhance your aesthetic by spicing up your head (try not to read that terminology too closely, I certainly didn’t), it can often be difficult to effectively locate a wig that suits your looks and style. Fear not; for we are here to aid you in this fashion endeavour. In this article we’ll be showing you a variety of examples and where to find them so that you might satisfy your wiggy needs, be it for a part of your temporary look for an upcoming night out, or a long-term arrangement that will compliment your social interactions in the coming months, we will try and help find a look to assist you in all of your endeavours. This little piece can easily be bought off of sites like Amazon for anywhere under $40, giving you a great amount of spending freedom for multiple wigs should you choose to. The hairstyle seems to be a deviation from the well-known Pixie Cut and is easily maintained. You can purchase this wig in a variety of different colours, ranging from black to red or auburn. With waves that’ll match any British ocean (trust me it’s damn wavy down there), this is another deviation from the classic Pixie Cut and is wonderfully textured. Said wig can be purchased from Amazon for just over $40, making it a must buy for anyone looking to find themselves a piece that is diverse in each one of its strands and looks wonderfully elegant. This wavy style makes use of a delicate, wavy parting that frames the cheekbones and chin quite nicely. While this style is longer than the other two, it isn’t long enough to require high maintenance and instead settles nicely down onto the back of the neck (gently snoozing if you can believe a wig’d be capable of such a thing) You find these online for up to $60, perhaps a little price it but definitely worth it if you can spare that coinage. As a short but curly piece that can some in a variety of colours ranging from black to a fiery red, this hairstyle can be found online for as little as $35. 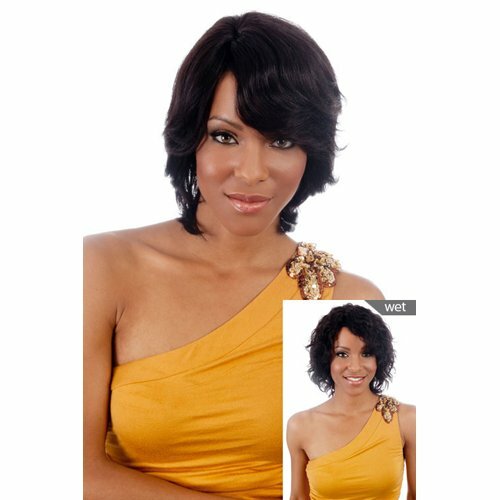 The curls have a wonderful texture and the wig itself is suited to a variety of sizes to suit yo’ needs. Next we’ll be discussing the longer hairstyles that might just catch your wig-hungry eye in your crusade, with longer wigs ranging from the wild but wonderful SK-CHARM to the quainter SK-ONYX. Keep in mind that longer wigs can be a little harder to maintain, though often their thickness and texture can make it so that they are easier to pull off as your natural do. Resembling the kinds of extravagant hairstyles that you’d see on the likes of pop stars like Nicki Minaj, this wig is as smooth and straight as a cat’s tail (try not to think of my cat, which resembles a tooth brush after a journey into a particularly un-flossed mouth. Lovely) This can be found for around $34 on Amazon, a bargain price if you ask us. 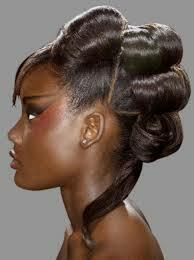 Messy yet classy in a Tina Turner sort of way, this style is mildly wavy and sort of half-curled. This can be found in a variety of colours ranging from coal-black to a golden-yellow that’ll make you stand out in any crowd. Pieces like this can be found online for less than $30. Rated highly by Amazon uses who took the opportunity to don themselves with this beautiful piece, this wig will dress you with a mane to make any lionesses jealous (Or hungry, could go either way. Just don’t visit your nearest enclosure) you can pick this up for $36 on that same website. And for our last item on this list we leave you with a glorious piece that’d give anyone the air of Beyonce when worn right. This piece is a long, wavy work of art that feels comfortable and is incredibly vibrant in colour. You can nab one of these for just over $40. Keep in mind that longer wigs can allow for more freedom in terms of styling opportunities. As a result, you have much more freedom in deciding on your specific look and style. 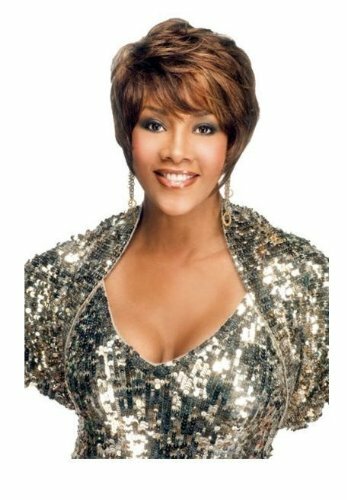 To finish off this article, we’ll be showing you a couple of styles that might transcend your price range, should you be looking for a higher standard of wig; the next level of wig-ness, as it were. The other wigs should be of sufficient quality, but these will always be available to you, should you want to expand your range finance-wise. This is a wig-style that’s thick, straight and shoulder-length. It has a soft texture and is everything its picture shows it to be., it also comes in a variety of darker colours from black to chestnut brown to a more sandy-colour. As we mentioned before, this wig might transcend your price range at around $139 on Amazon but it is always there, should you muster up enough wig-funds. 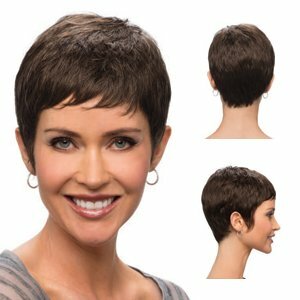 Note: that these higher priced wigs are often designed for longer use and to withstand thorough cleaning and so you should view this extra cost as something of a necessity. 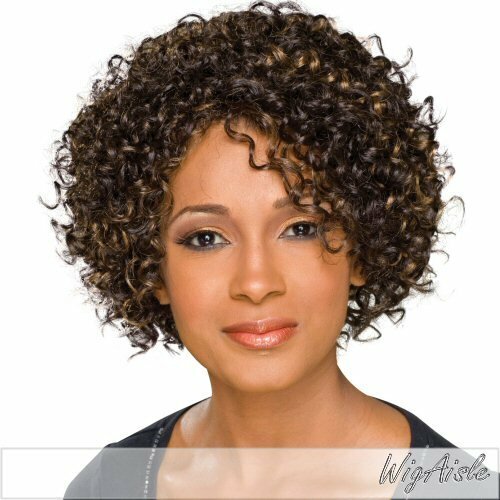 This curly wig can give you a fiery and youthful-look with its curly waves and neck-base length, framing the roundness of your face quite well. 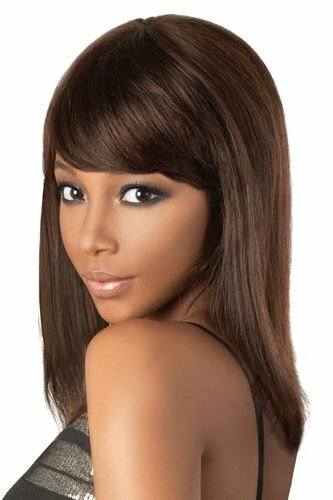 This wig can be bought in two different shades of brown, one dark and the other more auburn. This one sits at a higher price also, with $130 being its standing price on Amazon’s online store. Thus, like with the previous wig, it is there to serve as a temptation, if you should find the adequate funding. This final hairstyle is all it says in its title. 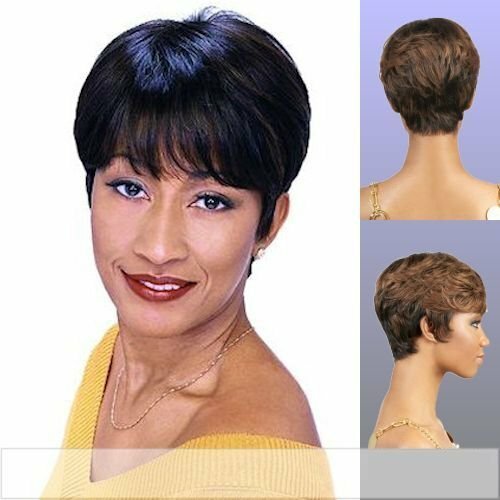 A variation on the pixie cut, not unlike the two we started this list with, it serves as a nicely textured and carefully coloured piece that serves as a mid-neck length, more boyish-looking, yet elegant wig that can be washed thoroughly by it user without losing any of its brightness, colour, shape or texture. As a result the price on its head (or yours depending on how much ‘dollar’ you have in your possession) can be justified. Wigs can be expensive to create, especially when made using the sort of materials that make it resemble human hair so closely, as this one does. The price is $119 here, having been cut down from its previous price of: $139. Amazon have kindly slashed the price for your pleasure. How lovely. Secondly, do NOT wear a synthetic wig while you are cooking/operating an oven for any purposes. By exposing your wig to heat you risk it being ruined for all eternity (God that was dramatic). Thirdly, should you want to pass off your wig as part of your natural hair, try not to buy one that is too extravagant when compared t your natural hairstyle. Those close to you won’t be able to tell the difference if you hair suddenly hasn’t grown twice as long and five times as thick within the space of twelve hours. Fourthly and finally, you should keep in mind whether or not your wig is synthetic or real. Distinguishing between the two could be an issue as they require different products. That is all from us for now. Happy wig hunting.